I’ve been buried under my maths textbooks for the past few days but now I’m back! Summer season is fully upon us so I switched from wool blends to cotton blends. I know that a lot of people dislike working with cotton, but having been knitting with Rowan Handknit Cotton I must say I’ll take it over any other yarn! It’s delicious – soft, smooth, wonderful stitch definition and the colours are amazing. I’ll try to get photos of Handknit Cotton WIPs later today, for the moment I’m having a pick & mix, that is some finished objects and some in progress ones. First of all, I finished my Erquy! Or rather, I finished it weeks ago but never got round to taking “in action” photos. I adore it – the fit is very flattering I think! Still can’t believe that pattern so simple can have such stunning effect, when I first saw it I thought there was no way in hell I could knit it. My butterfly mittens are done and gifted now. Pattern is very easy to follow and they knit up so quickly! Perfect last-minute gift, and this is exactly what they were – recipient loved them. Totally see another one coming, this one for myself. 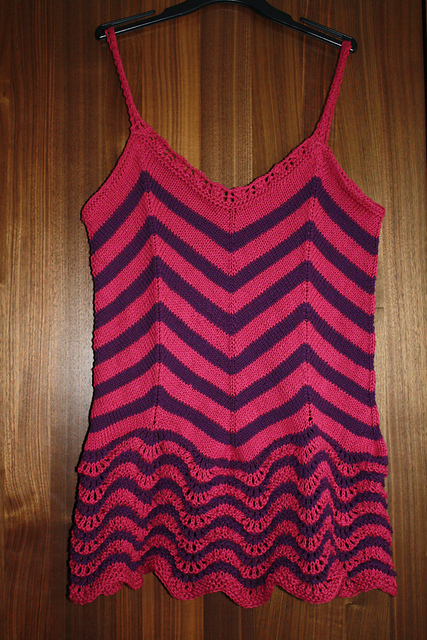 I have also finished Beach Halter by lovely Andrea Rangel. 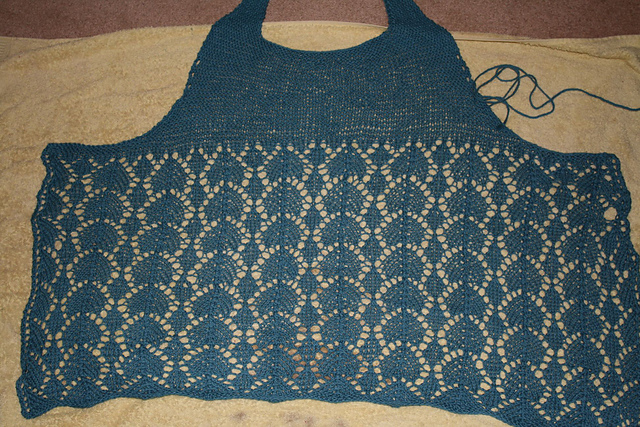 To make it longer and more pie&ice-cream friendly, I did 8 repeats of lace pattern. I went down needle size for the garter section so it’s less see-through. 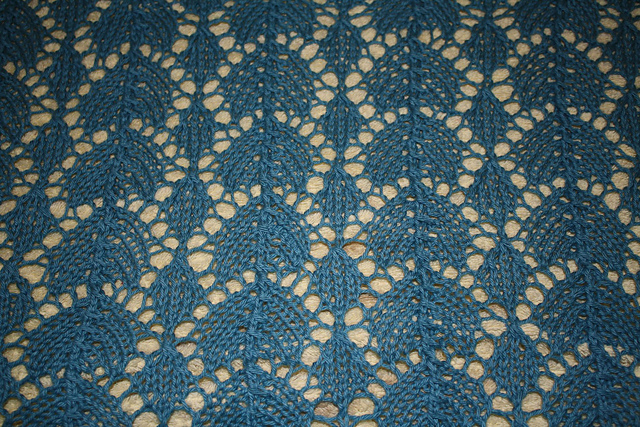 I made a small mistake at right hand side in lace pattern but I didn't realise until later on so I continued knitting. Really hope this won't be terribly visible when worn. And finally I want to share my newest musci obsession: Adele! I'm a bit late to hop on the wagon but I fell in love with her music. Enjoy! You've been a busy girl. I love all of your projects. I even have Erquy in my Ravelry queue. So fun to see them modeled. Looking forward to seeing your halter finished. That is the cutest top...and it looks terrific on you! I love both your tops. I've never heard of either of the patterns before, will have to check them out! You have been quite busy! Cute! I'm a bit late to the party but whoa! you/your Erquy is/are smokin' hot!...sizzle! Hi, I'm Paula. I'm a first-time mum to Philip, living on the south coast of England. Balancing natural baby-led life with modern motherhood. On a mission to enjoy a zero-waste, plastic-free family life. Copyright by Paula. Powered by Blogger.